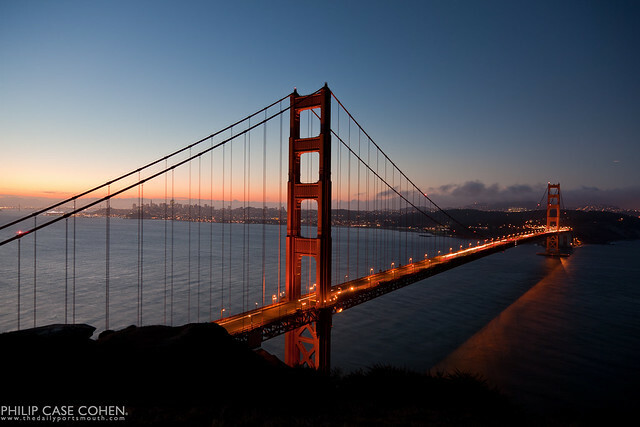 I’ve wanted to visit the archives for some time, so I did so for today’s post…which features dawn at the Golden Gate Bridge of San Francisco. If you’ve never been to San Francisco or witnessed this beauty in person – put it on your list. It’s amazing to travel up to the Marin Headlands to take in the rising sun as it illuminates the richly red structure and the city just beyond it on the horizon. I’ve featured several images from past trips to the west coast destination, all of which I’ve enjoyed shooting.